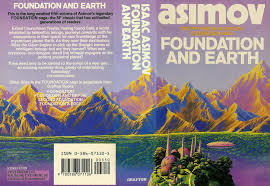 The Foundation series was created by Isaac Asimov and can easily be described as his best set of books and short stories. 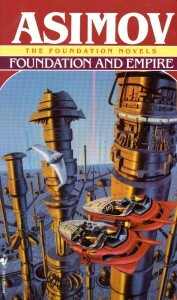 The series was a trilogy, composed of Foundation, Foundation and Empire, and Second Foundation. The series received the one-time prestigious Hugo Award for “Best All-Time Series” in 1966.
there, as he added Prelude to Foundation and Forward the Foundation. 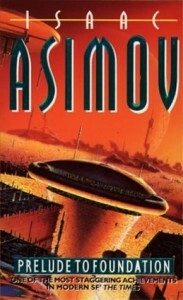 Parts of this series were also mentioned in Asimov’s other sets, saying that this is also part of the same universe that Asimov created. Not only was Asimov able to create a whole world, but he also created a new branch of mathematics through his character, Hari Seldon. Seldon developed psychohistory – mathematics and sociology merged. With the laws of mass action, psychohistory can predict the future. Its only limit is that it can only predict the future on a large scale. With the use of psychohistory, Seldon sees the fall of the Galactic Empire, which includes the Milky Way, and an age of darkness that will last for 30,000 years. Seldon also sees another path to the Galactic Empire where in the dark age will only last for 1,000 years. Though both are bad outcomes, Seldon would rather have the most favourable one. He then creates a group of talented engineers and artisans and places them at the edge of the galaxy to ensure the expansion and preservation of humanity’s collective knowledge and would eventually become the foundation of the new galactic empire. This book starts on the planet Trantor; the Galactic Empire’s capital world the day after Seldon gave a speech at a conference. His speech contained mathematical formulas showing how it is possible to predict the future and what can happen to the course of human history. Because of this, the Emperor employed people who would haunt Seldon, which forces Seldon to hide in exile. With his female companion, Dors Venabili and his aide, Chetter Hummin, Seldon is kept hidden from the Emperor and travels all over Tranter. Hummin sensed that Seldon is hiding something and forces, Seldon, to continue his research. After a lot of travelling around Trantor, Seldon realizes that he can’t use the entire galaxy as a starting point for psychohistory. He then decides to use Trantor to learn what psychohistory can do and apply the knowledge to the rest of the universe. Seldon has finally polished the science of psychohistory eight years after hiding in exile and has used it on a galactic scale. He becomes a notable and famous scientist and gets promoted to First Minister to the Emperor. Because of his schedule, he eventually loses his wife, Dors Venabili, and his health. He has a granddaughter, Wanda, and he instructs her to set up the Second Foundation. Seldon is called to trial for showing Trantor the decline that his science predicted. Seldon explains the two alternatives foreseen by his science. However, he also presents the need for forming the Encyclopedia Galactica. Seldon proposes to assemble a group of intelligent minds who will be exiled to a planet far away called the Terminus. These people will collect all of the human’s knowledge to keep everything intact even after the fall of the galaxy and to ensure faster growth of the second empire. They agree to do this without knowing Seldon’s contingency plan which he assigned to his granddaughter, Wanda. Once they reach Terminus, the first problem they solved was their location and their neighbours. Four planets surround Terminus, and the only weapon that they have is their intelligence. The City Mayor, Salvor Hardin creates a plan wherein they will make the four planets to fight each other. This works – Terminus is untouched, and Hardin is promoted the President of the Planet. The great minds of the Terminus continue developing and recording human technologies and discoveries. They were able to build technologies better than those of the Empire’s. To add to this, the technologies they built were also much smaller and more powerful. Eventually, the demand for their technologies increased that they had to open trades with the nearby planets. Since the trades between planets became very active, planet diplomats just came from a pool of traders. One of them is Hober Mallow, a robust trader who is powerful enough to cut off supplies and adds more planets to the brewing new empire. Due to fear of the Foundation’s growth, the current Emperor demands a war against Terminus. However, he decides not to continue the attack on Terminus when he is reminded that the next empire will be stronger than their current empire. Even if currently, the next empire is not yet equipped with the proper military training and tools and even if they are dubbed inferior, the Foundation emerges as the victor. While this was happening, an unknown predator called the Mule has been invading planets that belong to the Foundation at a fast rate. His existence bypassed the psychohistorians. Mule was able to do this because of his mutation which allows him to control the emotions of others. He instils fear and loyalty in the planets he wants to be conquered. Bayta Darell, Toran, Ebling Mist, and Magnifico set out to grow the Second Foundation with the hopes that they would end the Mule’s attacks. Mis finds out that the Mule is also looking for the Second Foundation. Bayta murders Mis before he can reveal where it was. Bayta regrets this and explains that it must be done to protect the location of the Second Foundation. After the murder, Magnifico tells that Bayta’s suspicions about him are correct and that he is the Mule. Dismayed of being discovered, Magnifico leaves Trantor, rules his planets, and continues his search for the Second Foundation. When the Mule comes closer to knowing where the Second Foundation is, they decide to face the threat in a direct manner. Upfront, Mule finds out that it is made of the descendants of Seldon’s psychohistorians and the galaxy’s most intelligent humans. The First Foundation developed and maintained the physical sciences while the Second Foundation grew the mental sciences. Using their strength, they were able to defeat Mule without having to kill him. He becomes a peace-loving ruler and goes back to his planet, turning them into planets of tranquil. He never goes back to conquer Terminus again. The First Foundation finds out about the encounter and tries to find the Second Foundation to destroy it. The only they got from Seldon was “at the Star’s End”. They eventually get this, but the Second Foundation has always been prepared. The Second Foundation that the first one would look for them. To detour their trail, they sent 50 telepaths as martyrs. 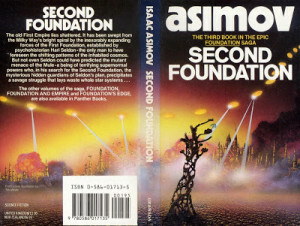 At the end of the novel, the actual whereabouts of the Second Foundation was revealed. The clue “at Star’s End” was based on an old saying, “All road lead to Trantor, and that is where all stars end”. Seldon placed the Second Foundation in two areas – at the opposite ends of the galaxy, but not in the physical plane. They can be found in Terminus, where the Empire’s influence was weakest, and one hidden in Trantor, where the Empire’s culture was strongest. The First Foundation sends scholar Janov Pelorat and Golan Tervize to look for the Second Foundation. They believe that it’s hidden on the Planet Earth because they think there’s a reason planet is being deliberately hidden. During their journey, Trevize and Pelorat find a world called Gaia, a planet inhabited by Mentalics. These mentalics are so mentally intertwined that everyone and everything on the planet – including organisms – have a collective mind. Trevize had three options for the outcome of their galaxy’s future, the first one being the normal one, where in the First Foundation will push for their physical mastery and traditional political organization. The second one is for the rule of the Second Foundation and their mentalics which pose the probability of ruling the world by mind control. The last one as Gaia’s way, in which they can absorb the entire Galaxy into one whole, peaceful mind. Though uncertain of the reason, Trevize chooses Gaia as the right outcome for the galaxy’s future. Without the First Foundation members knowing, members of the Second Foundation were following the theme. They were also affected by the planet’s mind control. They were sent back to the Second Foundation with the thought that they came from a victorious treaty with Gaia. They leave with the thought that the Second Foundation must continue their plans as normal. Trevize brings a local of Gaia, Blissenobiarella – referred to as Bliss – to find the Planet Earth. He has a set of coordinates, but they only lead to unmapped planets that are of no help. During one of their visits, Bliss kills locals who threatened their lives. She keeps the only entity left on Solaria, a child. Eventually, they find Earth, but contains nothing of their interest. They check out Earth’s moon and meets R. Daneel Olivaw, an ancient robot that has been protecting humans for the past 20,000 years. They find out that the reason the Second Foundation has always been of course was because of Olivaw’s guidance. However, he is about to die, and no robotic brain can be created to replace his current one which contains 20,000 years of memories. To continue his assistance to human beings, his mind must meld with an organic intellect. At this point, Trevize is put in a position wherein he has to decide whether to meld the brain of the root with the child’s superior mind and if it would be of the best interest of the rest of the galaxy. Asimov never fully disclosed what Trevize answer was. Asimov never finished the series. 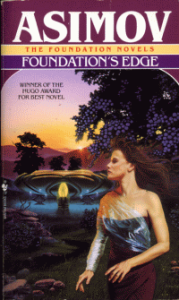 For a set of stories to be awarded the one-time Hugo Award, it’s without a doubt that the result of the Foundation series by Isaac Asimov is vast. It continues to inspire people even after his death. The psychologist Martin Seligman points the Foundation series as the famous series that helped him create Learned Optimism. Seligman also identifies the set as the inspiration for the first successful prediction in history – the 1988 US elections. In 1996, U.S. Hous Speaker, Newt Gingrich, also cited Foundation as his biggest influence when he was in high school. The winner of the 2008 Nobel Memorial Prize in Economic Sciences, Paul Krugman¸ says that the Foundation series inspired him to go for economics as it is the closest thing to psychohistory. Business tycoon Elon Musk also accounts the series as his favourite. Carl Sagan of Cosmos: A Personal Voyage also mentioned Encyclopedia Galactica on his show. When Isaac Asimov won the one-time Award, Hugo Award for “Best All-Time Series”, he was thrilled to know that he won because he thought that the award was created to recognize J.R.R Tolkien’s The Lord of the Rings. The other runner-ups were Barsoom by Edgar Rice Burroughs, Future History by Robert Heinlein, and Lensman by Edward Smith. Douglas Adam’s The Hitchhiker’s Guide to the Galaxy and Harry Harrison’s Bill, the Galactic Hero, portrays clear influences from Foundation. Donald Kingsbury created “Historical Crisis” in 1995, which is later followed by Psychohistorian Crisis. 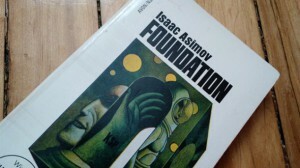 His works take place 2,000 years after Foundation and are set in the same universe that Asimov created. In Fantastic Four #542, Mister Fantastic tried to create his branch of psychohistory saying that he picked up the idea after reading the Foundation series.